Wood Grain Aromatherapy Oil Diffuser Just $33.49! Down From $89.99! 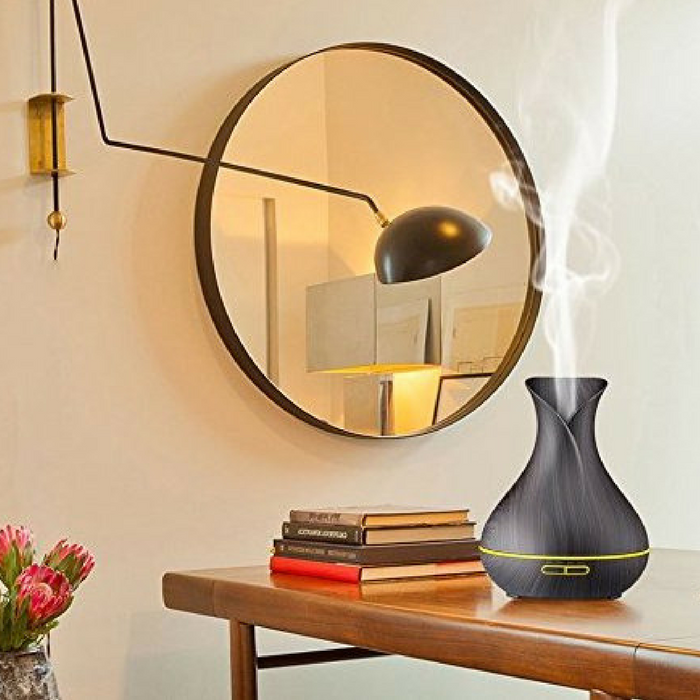 You are here: Home / Great Deals / Amazon Deals / Wood Grain Aromatherapy Oil Diffuser Just $33.49! Down From $89.99! Right now on Amazon, you can grab this Wood Grain Aromatherapy Oil Diffuser for just $33.49 down from $89.99! Release the stress and let the fragrance of essential oil spread in the air while enjoying your leisure time with this Wood Grain Aromatherapy Oil Diffuser. It has 400ml large capacity which can run for 10 to 15 hours and adds moisture to your skin as it gives you a smoother and much longer sleep. You don’t need to worry about turning it off as it automatically shuts off. It is perfect for your bedroom, office or any place in your home where you want cleaner and fresher air. Relax your body and soul with this diffuser. Utilizes non-heat ultrasonic waves and the natural healing properties of the oils. The Wood Grain Aromatherapy Oil Diffuser emits a steady mist of soothing soft swirls, filling the air with your desired essential oil. Can also be used without oil as a humidifier. Has a classic wood grain finish: Natural wood grain look and unique vase-shape design that makes you feel relax with its zen-style outlook. This 400ml essential oil diffuser lasts on for a long time and has a good output of mist(30-80ml/H). It is a humidifier or a diffuser when you add essential oil to it. With its Adopted ultrasonic technology, this diffuser is extremely quiet when working. Automatic shut off when water runs out to ensure the safety. 4 Timer Setting and Mist Control: 4 timer- 1H/ 3H/ 6H/ Continuous modes. Has 7 Soothing LED Light: Soft light creates a calming and romantic atmosphere. The color can be cycled through or set it to one fixed color. Each color has two light options: dim and brighter.